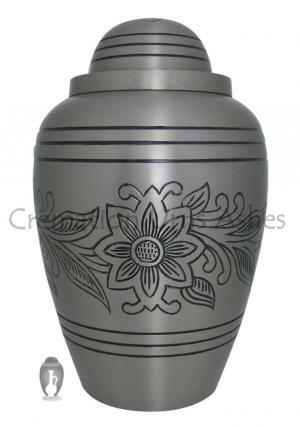 Pewter Bouquet Brass Adult Cremation Urn has a beautiful engraving of flower aspects circled in large around with black sketch. 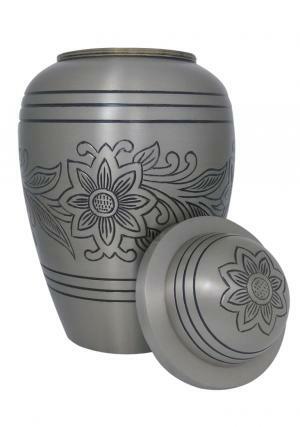 The adult ashes funeral urn as a pewter finish with triple bands layered as the boundaries of flower engraving. 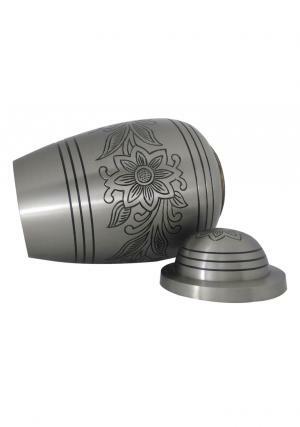 The Pewter finished brass Bouquet Adult Funeral urn has a triple band layer with centered flower on the lid and which also has the threading to secure the ashes on closure of the lid. 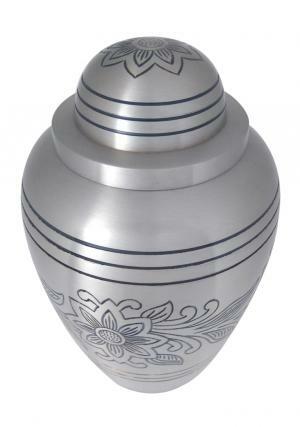 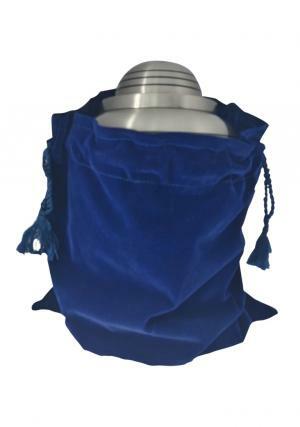 Pewter Bouquet Brass Adult Urn measures 11 inch tall, raised width of 6.9 inch and weighs 2.24 kg, capable of carrying 200 cubic inch ashes.